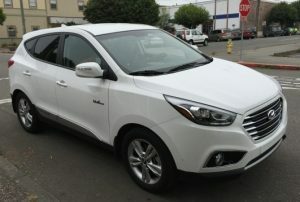 The goal of the RCEA’s Transportation Department is to support the use of alternative fuel vehicles in Humboldt County. There are many types of fuels other than standard gasoline and diesel that can be used to power motor vehicles. While alternative fuel efforts in Humboldt have thus far focused on electric and hydrogen – powered vehicles, improved technology and reduced cost of alternative fuels may make more of these options practical for our area in the future. 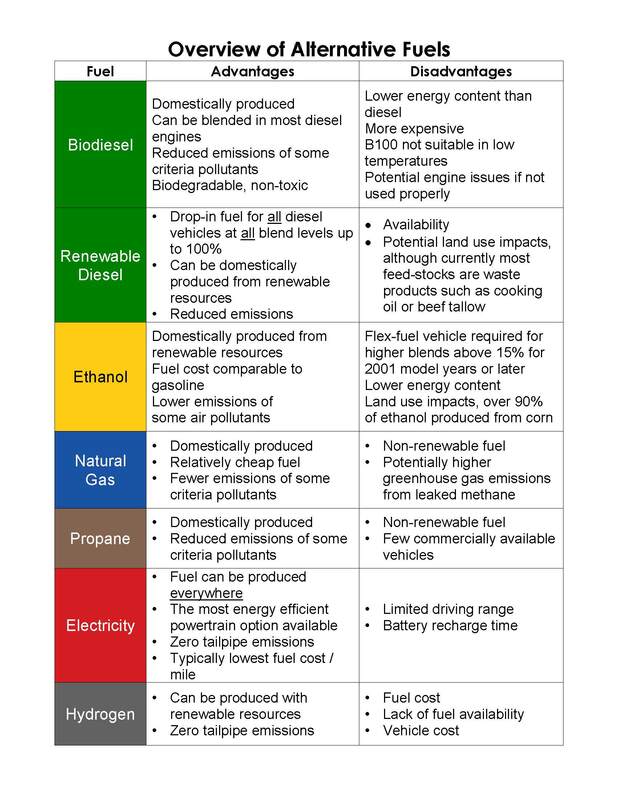 Click the blue “Overview of Alternative Fuel Types” bar to expand the section and learn more. Battery Electric Vehicle: A battery electric vehicle (BEV) operates entirely on electricity and needs to be plugged in to be recharged. 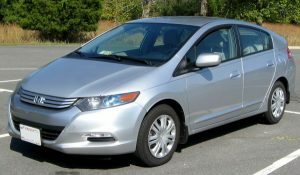 Standard Hybrid: A standard hybrid engine is powered by both a gasoline or electric motor that is recharged by the engine. This car can only be fueled by gas and cannot be plugged in. Plug-in Hybrid: A plug- in hybrid (PHEV) is powered by an electric motor that receives assistance from a gasoline (or diesel) engine. PHEVs can be plugged in to be recharged. PHEVs are considered ZEVs by the State of California. Hydrogen Fuel Cell Electric: A hydrogen fuel cell (FCEV) runs on an electric motor that is powered through a chemical reaction between hydrogen and oxygen. This car must be refueled with liquid hydrogen. 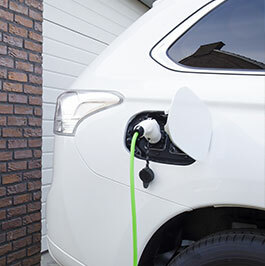 The Redwood Coast Energy Authority promotes the adoption of electric vehicles in our region and actively seeks funds to plan, implement, and manage electric vehicle public charging infrastructure. We have partnered with the California Energy Commission on several planning projects with the goal of increasing clean transportation in our region. Listed below are details about RCEA’s completed and current low-carbon fuel planning projects. The Alternative Fuels Readiness Project has developed a readiness plan for five rural counties in northwest California (Del Norte, Siskiyou, Humboldt, Trinity, and Mendocino) which provides strategies for the deployment of alternative fuel infrastructure and identifies activities to encourage the adoption of alternative fuel vehicles in the region. Follow the link to view the Northwest California Alternative Fuels Readiness Plan (PDF). The RCEA and project partners published the North Coast Plug-in Electric Vehicle Readiness Plan in July 2014. This plan is part of the North Coast Plug-in Electric Vehicle Project which focuses on creating a coordinated effort throughout the Humboldt Bay region and greater North Coast to support and plan for the rollout of plug-in electric vehicles. Follow the link to view the PEV Readiness Plan (PDF). The goal of the North Coast and Upstate Fuel Cell Vehicle Readiness Project is to build on the efforts of the Northwest California Alternative Fuels Readiness Project. This project will support the successful introduction of fuel cell vehicles throughout the eight-county North Coast and Upstate regions by catalyzing a regional fuel cell vehicle market and planning for the deployment of hydrogen fueling infrastructure. Click to view the Regional Hydrogen Infrastructure Plan (PDF). RCEA is issuing a Request for Information (PDF) to solicit responses from entities in or around the North State California Region regarding interest in fuel cell electric vehicle planning, hydrogen production, hydrogen fuel-cell vehicle adoption, and hosting/leasing/owning hydrogen fueling infrastructure. First review of responses was on April 30, 2018 and additional responses will be accepted on an on-going basis through May 31, 2018. 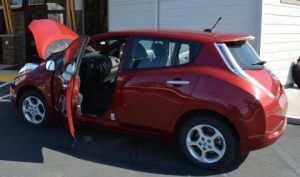 The Zero Emissions Vehicle (ZEV) Implementation Project will implement the North Coast Plug-in Electric Vehicle (PEV) Readiness Plan in Humboldt, Del Norte, and Trinity counties. Detailed siting assessments for the placement of new charging equipment will be conducted, along with outreach and publicity promoting the adoption of PEVs by consumers, and the adoption of PEV-friendly policies by regional municipalities. RCEA and project partners are currently working on the placement of new charging equipment. Other implementation efforts include outreach and publicity promoting the adoption of PEVs by consumers, and the adoption of PEV-friendly policies by regional municipalities.